Above: Jay and Diane Anderson with their daughter, Holly. Left: Clark Anderson (in red coat) with daughter Jen (holding skis) and friends. Right: Clark Anderson on the job with co-workers. 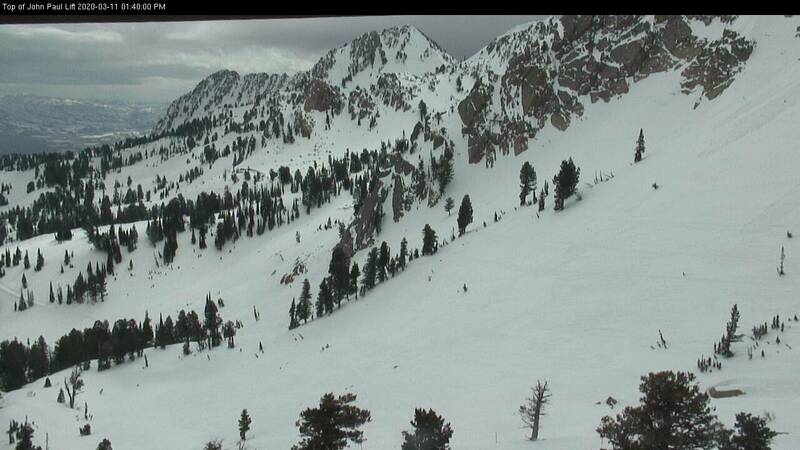 Snowbasin Resort is celebrating its 75th Anniversary but members of the Anderson Family have been calling the Snowbasin area home for their winter recreation for longer than that. When you read the early history of Snowbasin you will frequently see the name of Clark Anderson scattered through stories about the exploration, planning and opening of the now world famous ski resort. 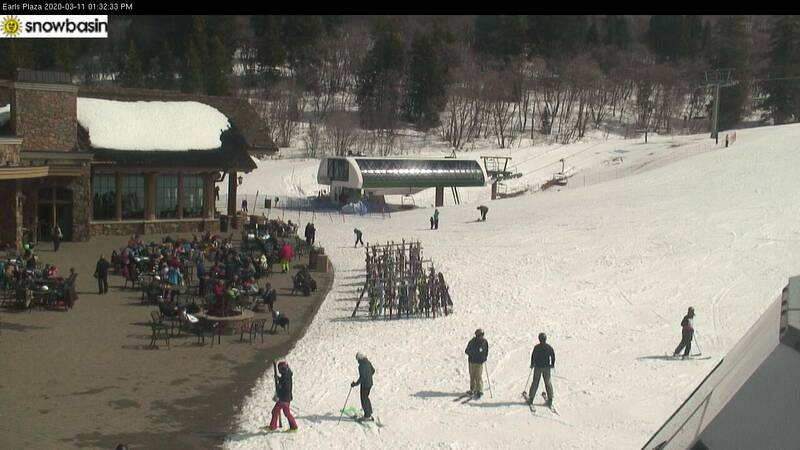 And every year since it opened there is a good chance you would find one of Clark's descendants on the mountain, most weeks during each ski season. 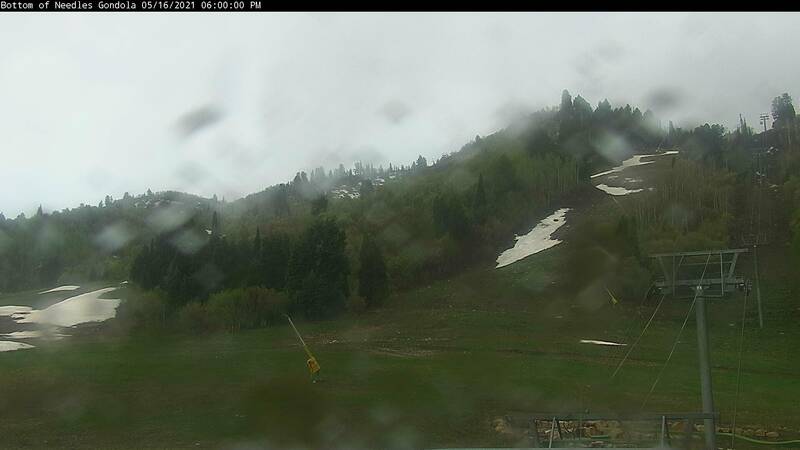 Left: Clark Anderson measuring at Snowbasin. Right: Clark Anderson on the left and his son, Jay sitting on top of the truck. R. Clark Anderson was born April 19, 1908 in Heber City, Utah and during the 1940's and 1950's was the Ogden River District Ranger for the United States Forest Service. Clark and his wife, Oretta, raised their family in Ogden (Children- Jay R. Anderson, Yvonne Cooper, Stephen C. Anderson, LuJean Hess, and Jeri Holland) where he played a major role in the development of forest recreation opportunities and watershed protection. Left: Clark Anderson on the left with the Engen Brothers looking at plans for Snowbasin. Right: Clark Anderson exploring the Middle Bowl area in the early 1940's. 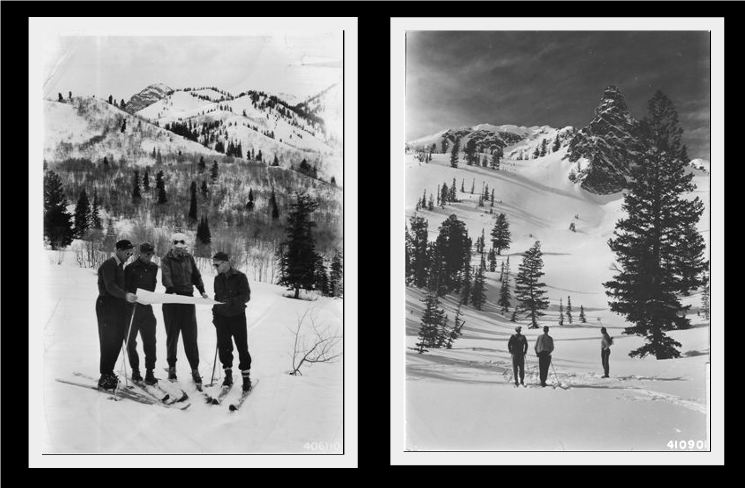 Looking back at these photos of Clark in the 1940s as the "concept" of Snowbasin was being explored and when the resort was being developed are a testament to his vision for, and love of the area, and his active involvement in the resorts' formative years. 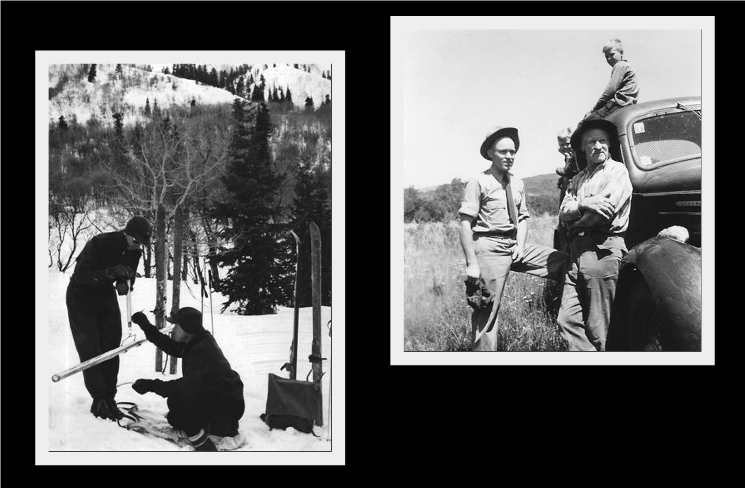 Left: Below Needles, heading toward the Porcupine area, 1941. right: Clark Anderson with wife, Oretta Anderson at Snowbasin in 1940. Clark Anderson retired and soon after passed away in 1973. He was on a fishing trip to the Wind River Primitive Area with his friends and his grandson. At the time of his passing, the 3rd generation of Anderson's were skiing and ski racing at Snowbasin - a tradition had started. Left: Clark Anderson with his son, Jay R. Anderson (Age 4). Right: Boy Scouts camping at Snowbasin in 1948. Clark's oldest son Jay (Jay R. Anderson) made his way through college on ski racing scholarships, poker winnings and jumping into forest fires as a "Smoke Jumper" during the summer. Jay married Diane Gall and he built a successful business in Ogden (Great Basin Engineering and Surveying). 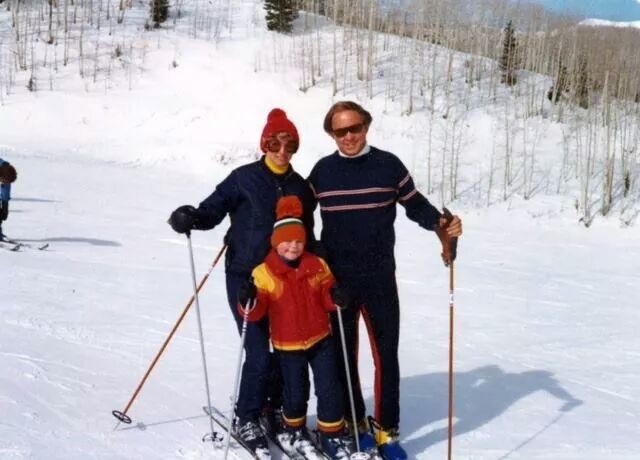 Each of Jay's 5 children (Tracy, Todd, Paul, Holly and David) started skiing at the age of 4 or 5. Top Left: Jay Anderson on Wildcat Bowl in his racing days. 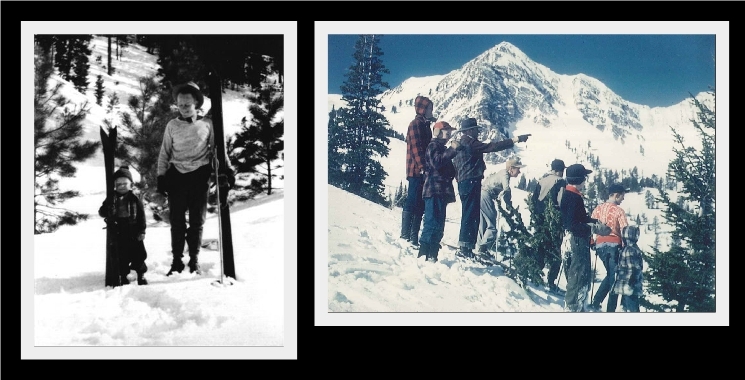 Bottom left: Jay Anderson making a powder run down Wildcat Bowl in the 1950's. 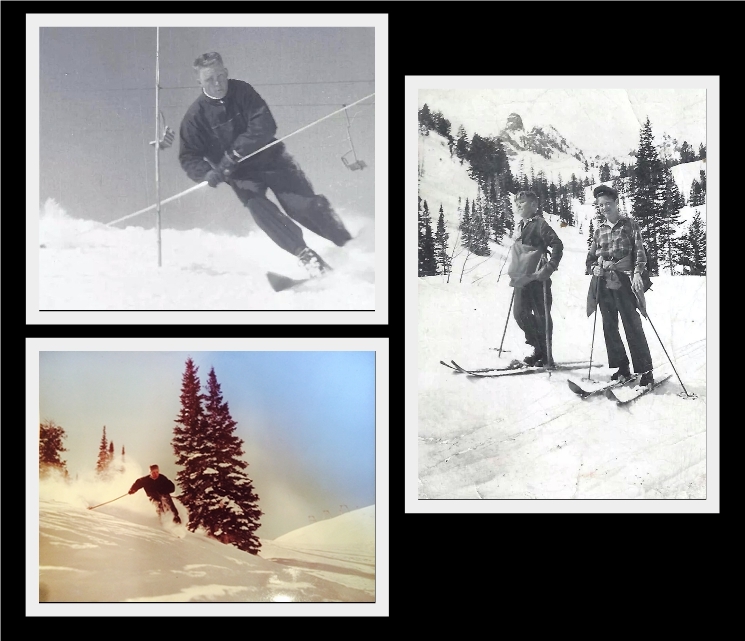 Right: Jay Anderson and a friend skiing down from the Needles area in 1946. From prior to Snowbasin's opening until his passing, Jay was a regular at Snowbasin and he loved the opportunities it provided to ski so close to home. 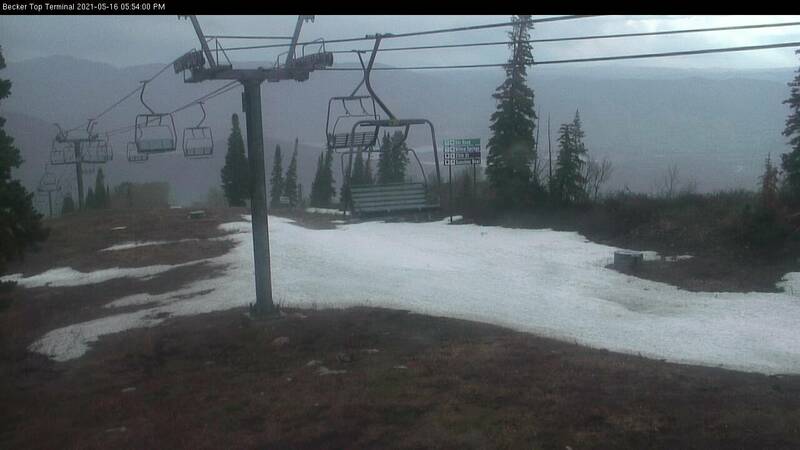 Jay's involvement at Snowbasin continued as he supported his children in ski racing and gelande jumping. Jay was a mountain host after his retirement, and was a volunteer in the timing area of the 2002 Winter Olympic Downhill. 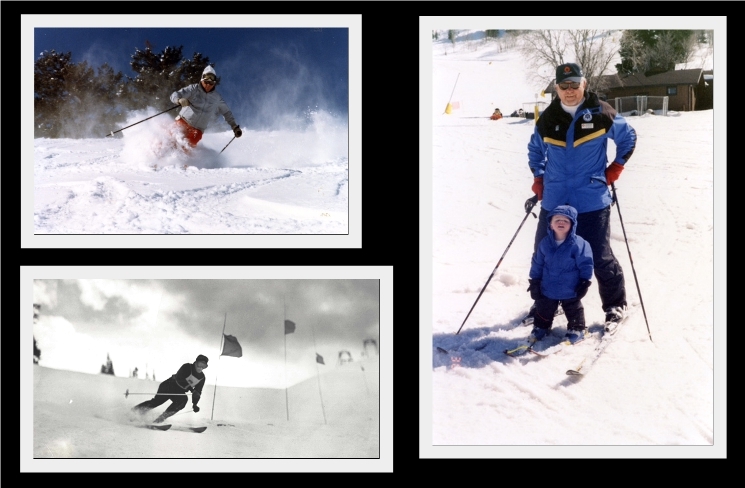 Top left: Jay Anderson skiing down Strawberry in the 1990's. Bottom left: Jay Anderson racing down Wildcat Bowl in the 1950's. Right: Jay Anderson as a Snowbasin Mountain Host with his Grandson, Jake Hollingsworth. 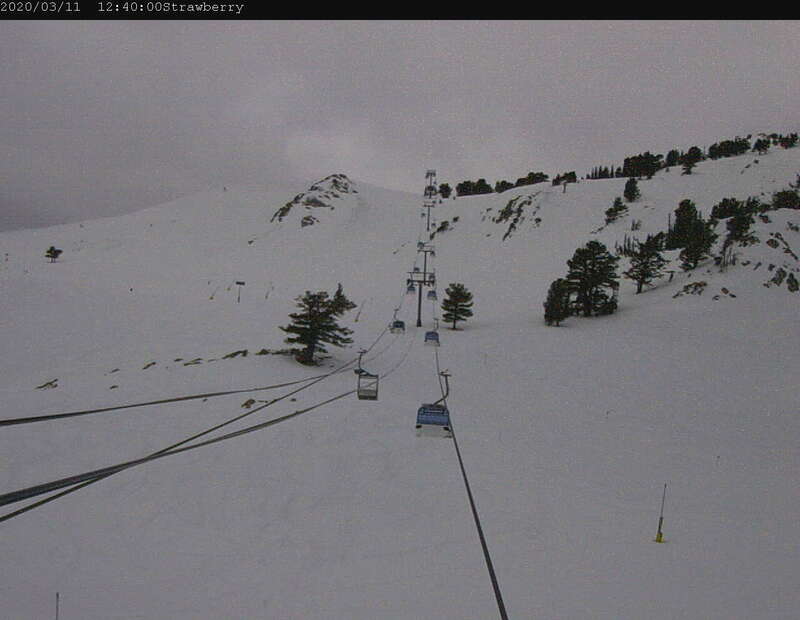 Jay was able to ski into his late 70's, he passed away on March 2nd, 2015 at the age of 80. 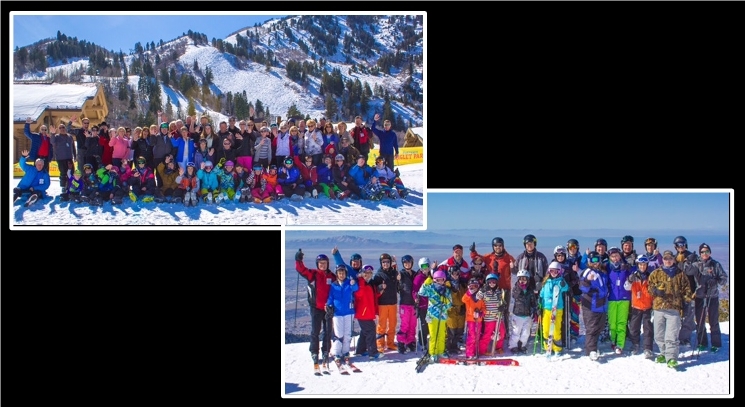 5 days after his passing, on March 7th, 2015, family and friends gathered at Snowbasin Resort to ski, enjoy lunch together and tell "Jay Stories" at the "Make a Run for Jay Day". 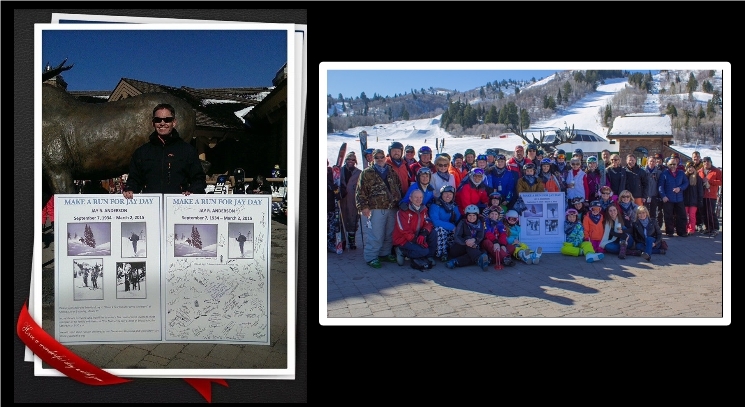 Jay and Diane's children and grandchildren have continued to honor their father and grandfather by having a "2nd Annual Make A Run For Jay Day” and have decided to make it an annual tradition that should have members of the Anderson family on the slopes for another 75 years! If you are a family member or friend of Jay and the Anderson family you can plan ahead to join them for the “3rd Annual Make a Run for Jay Day” on March 4th, 2017, continuing a family legacy and connection with Snowbasin that started more than 75 years ago. 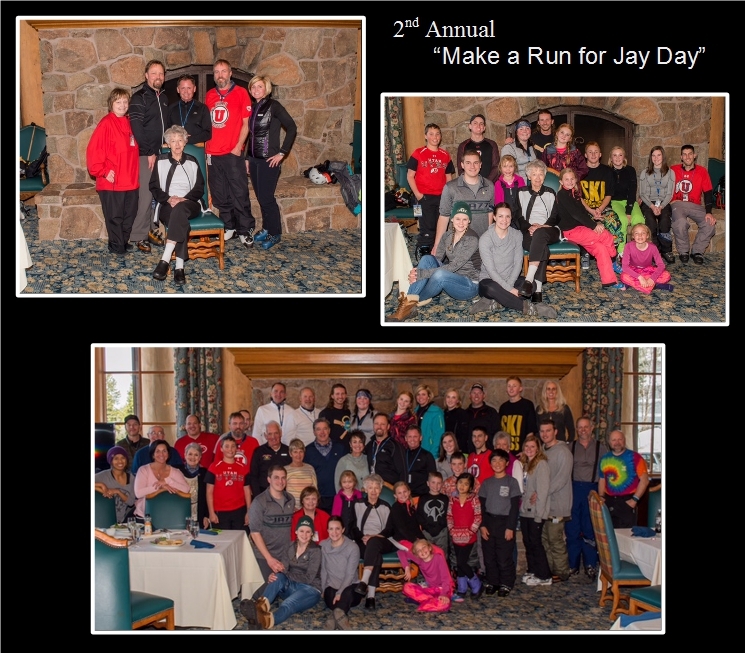 Above : Friends and Family of the Anderson's at the 1st Annual “Make a Run for Jay Day” in March of 2015. Top Left: Jay Day Photo of Diane Anderson with children Tracy Wahlen, Paul Anderson, Todd Anderson, David Anderson and Holly Hollingsworth. Top Right: Diane Anderson and Grandchildren. Bottom: Make a Run for Jay Day 2016 Group.